Mali is facing high levels of malnutrition (including 38.5 per cent stunting prevalence and 15.3 per cent wasting among children under five years old), driven by factors such as climate change and conflict. 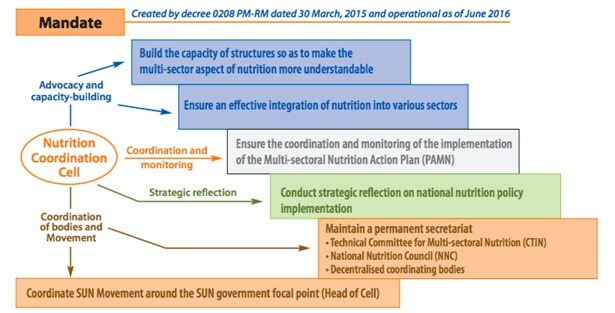 This has triggered an increase in political momentum within the country and Mali has made progress in strengthening nutrition governance since joining the Scaling Up Nutrition (SUN) Movement in 2011, particularly with the creation of a Nutrition Coordination Cell (Cellule de Coordination). Joining the SUN Movement has been very important for Mali. 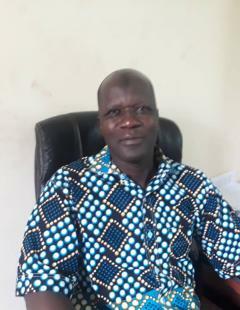 It has motivated the country to develop a multi-sector nutrition policy which is also budgeted. The SUN movement has supported experience-sharing through participation in various meetings. 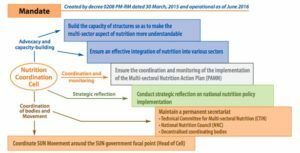 At the country level, SUN stakeholders including donors and UN agencies have met with Mali’s Secretary General to advocate for putting nutrition at a higher institutional level. This kind of advocacy cannot be done by lower institutions, but only by partners.